I was listening to a podcast the other day and someone mentioned off-hand that there was a metal band fronted by dogs. Naturally, this revelation caused me to instantly shoot up in my seat and try to find this band, because it sounded so intriguing. It turns out that there are actually a few bands fronted by animals and the results are certainly... interesting. This one definitely doesn't count, but it was my original touch-point for animal-fronted music. Basically, it's Alestorm's No Grave But the Sea, but with all the vocals replaced by a barking dog sound effect. It's pretty funny if you're familiar with the songs and the dog barking is done in the same rhythm as the actual vocal tracks, but it's not like they had a dog in the studio just barking constantly over each track. Check out the track "Alestorm" here. 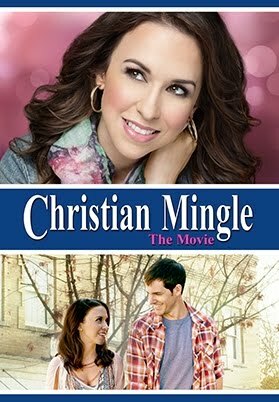 Recently my girlfriend was looking for a movie that we could watch on Netflix and, surprisingly, asked if I wanted to watch Christian Mingle. She isn't a Christian herself, so this was particularly unexpected, but as someone who's interested in crappy movies, this movie had been on my radar for quite some time and of course I said yes to the offer to watch it. It was basically just a reasonably well-done version of one of those low-budget W-network romantic films, with a religious spin on things to differentiate itself. I'm not really interested in a full review of the film (I'd give it a 4/10), but the film's religious elements did get me thinking because they were implemented in some strange ways which I feel run counter to the intended message. First off, Christian Mingle is very much an archetypal low budget romance movie. If you've seen one of these before, you know the drill - you've got your generic white couple who get drawn together, a manipulative mother, an unbearable romantic rival, a stupid conflict that draws the characters apart and which would have been easily solvable with a little communication and common sense, etc. Perhaps the weirdest thing about all of this though is how Christianity has been shoehorned into this archetype. Usually the central conflict comes because of some nefarious falsehood or because of some sort of scheme on the part of the villain, but in this story that means that the villain is... God, or at least this form of Christianity. It might have actually been interesting if this was intentional, but it definitely does not seem like that is the case here.